Today, one of the most commonly performed aesthetic procedure is the Eyelid Surgery. However, as it requires a detailed understanding of the anatomy and function of the eyelids. Droopy eyelids which refers to the bagginess from the lower eyelids is reduced with the surgical procedure called blepharoplasty. In addition, excess skin from the upper eyelids is also removed. The eyelid surgery is commonly referred to as an eye lift procedure. It repairs by cutting out the excess muscle, skin and underlying fatty material. Eyelid blepharoplasty is primarily considered as a cosmetic procedure. With age, excessive skin gets collected in the upper and lower eyelids due to skin elasticity combined with the constant gravity pull. Bulging of upper and lower eyelid is also contributed by the fat that cushions the eyeball from the skull. A cosmetic eyelid surgery will not help in the aging of eye nor changes the facial structure. Facial wrinkles or dark circles lying beneath the eyes cannot be eliminated with this procedure. Eye plastic surgery aims to enhance the appearance and builds up self-confidence in an individual. Laser resurfacing or forehead lift is usually accompanied with this procedure. The blepharoplasty or eyelid surgery provides very long-lasting results. Upper eyelid surgery lasts for a duration of about five to seven years or throughout lifetime, while lower lid blepharoplasty is performed rarely more than one time. For cosmetic reasons, blepharoplasty is usually done as an elective surgery. Lower blepharoplasty always involves cosmetic reasons such as improving puffy lower eyelid bags and reducing skin wrinkling. A special type of blepharoplasty known as Asian eyelid surgery or double eyelid surgery, helps to create a crease in the upper eyelid. Wrinkles and bulges are caused by excessive skin on the lower eyelid and the vision is obstructed by the extra fold of skin which hangs over the eyelashes from upper eyelids. In such patients, for improving the vision, eyelid lift or upper lid blepharoplasty is regarded as an effective method. In traditional blepharoplasty, along the natural skin lines of the eyelids, such as creases of the upper eyelids and beneath the lashes of the lower lids, external incisions are made. However, in transconjunctival blepharoplasty, the internal surface of the lower eyelid may be chosen to create incision. This helps to remove fat from the lower eyelid without removing excess skin or causing an externally-visible scar. 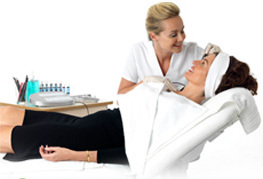 Simultaneously, external skin resurfacing may be performed with a chemical peel or carbon dioxide laser. The transconjuctival blepharoplasty, being, a safe and effective procedure with the minimal complications and absence of external incision, has been advocated to be an alternative to traditional transcutaneous blepharoplasty. Local anesthesia is generally used in an eyelift surgery. During the surgical procedure, the numbing medicine is injected around the eye by the surgeon to avoid pain. Anxiety can be relieved by using relaxation medicines. Compared to the traditional droopy eyelid surgery, the laser blepharoplasty has a shorter recovery time. After blepharoplasty, the recovery process may take up to a few weeks. There is a great variation in the recovery time among individuals. Being a mild invasive plastic surgery procedure, some factors such as heredity and lifestyle may seem to affect the aesthetic eyelid surgery. Problems with eyelid plastic surgery can include: Infection, swelling, dry eyes, bleeding, abnormal discoloration of the eyelid skin, abnormal in or out skin folds of the eyelids, difficulty in fully closing the eyes or blurred or double vision or possible vision loss. Fat for grafting procedure is harvested from other body parts to cover the hollowness created by the excessive removal of fat from the lower eyelid. Post upper eyelid lift is found to have a common problem of insufficient skin removal, which results in a noticeable bulge. Excising a little more of the skin is the most recommended direct remedy. High rate of lid retraction and visible scar are the drawbacks. However, this technique, as believed by some plastic surgeons, can enhance eyelid drooping caused by the muscle disturbance. Individuals who are seen to suffer from diabetes, inadequate tear production or dry eye, high blood pressure, heart disease, or thyroid problems, are at a high risk of blepharoplasty. In different geographic regions, the blepharoplasty surgery cost may vary with different specialties Depending upon the practitioners and different anesthetic settings, there occurs a significant change in the cost of blepharoplasty surgery. The surgeon’s experience also has a great affect on the eyelid surgery price. Other factors altering the eyelid surgery cost are the number of eyelids being operated and the quantity of fat and skin to be removed. As compared to lower eyelid blepharoplasty, less work is required in upper eyelid blepharoplasty. Also, upper eyelid blepharoplasty costs less. In case, upper blepharoplasty is accompanied with brow lift surgery, then cost may vary. Some of the factors which decide the cost of blepharoplasty include the experience level of the blepharoplasty surgeon, the amount and complexity of the work that needs to be done, and the part of the country in which you reside.